Dr. Thomas A. Holt grew up just around the corner from Maple Valley in North Bend, Washington. 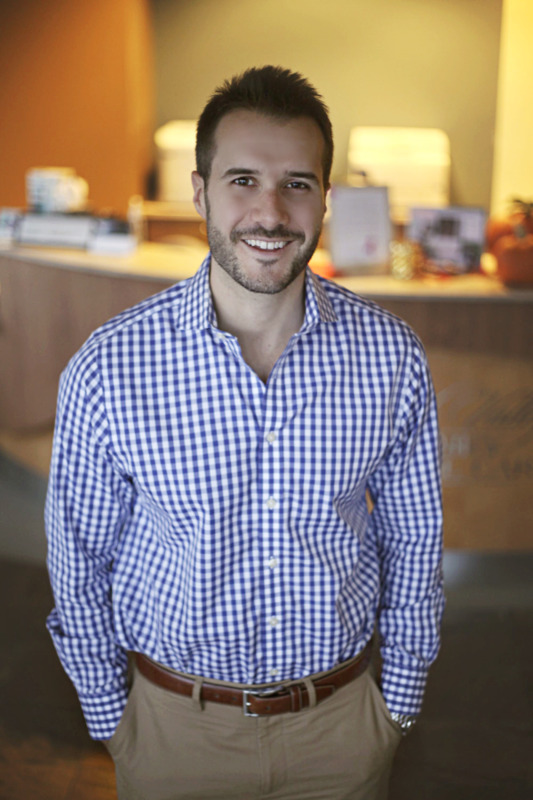 A graduate of Mount Si High School, Tom discovered a passion for dentistry while completing his undergraduate studies at Pepperdine University in Malibu, California. From there, he went on to pursue his career aspirations at the University of Southern California in Los Angeles. While in school, Dr. Tom took full advantage of the many volunteer opportunities around him. The vast experience that he gained helped him excel within his class, graduate with honors, and earned him the confidence of both his peers and instructors alike. Since graduation in 2005, Dr. Tom has engaged in numerous courses and advanced training in smile design and cosmetic makeovers. His experience and attention to detail can help you with any concerns that you may have with your smile! In addition, Dr. Tom is involved in several study clubs in the region and is constantly learning and keeping up with all advancements in dentistry for the benefit of his patients. Dr. Tom's clinical skills, passion for dentistry and genuine care for his patients truly show in the way he approaches dentistry with each and every person he cares for. 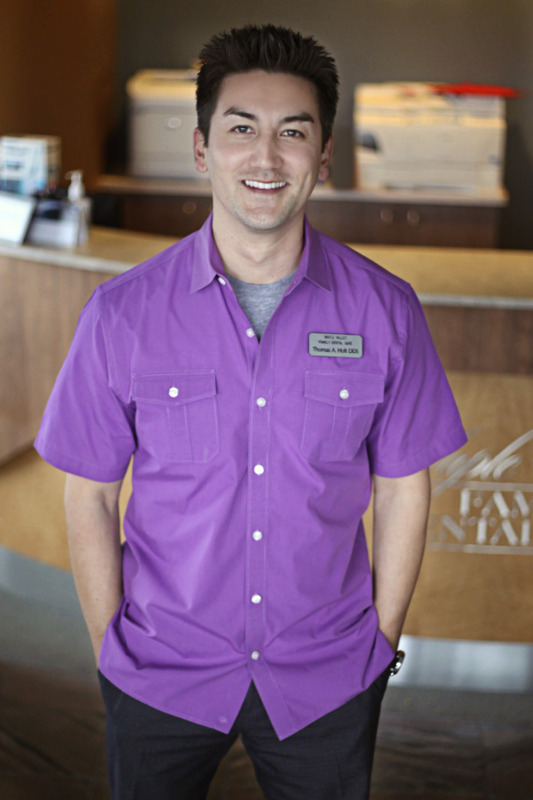 His friendly, out-going and energetic demeanor make him not only a great dentist, but a joy to be around as well! Dr. Stephen Rockwood joined us from the East Coast. Dr. Rockwood completed his undergraduate studies at Indiana University. Go Hoosiers!! Following graduation, he decided to pursue his dental degree at the University of Pennsylvania in Philadelphia. During school, Dr. Rockwood was an avid participant in volunteer opportunities, which included traveling to rural Tennessee with his clinical instructor and fellow dental students. While there, they were able to provide help to people with limited access to medical and dental care. After attaining his degree, Dr. Rockwood pursued further education in dentistry. He completed an Advanced Education in General Dentistry at Temple University. This was a wonderful experience where he was really able to refine his skills and learn from outstanding attendings. Dr. Rockwood began his career working at a community health center, serving the less fortunate in the inner city of Philadelphia. Working with and caring for his patients at the clinic, he developed his compassionate demeanor which is still with him to this day. While studying and working in Philadelphia, Dr. Rockwood met his fiance, Lindsey. She is originally from the Pacific Northwest and always wanted to return to her roots. In the summer of 2011, they loaded up the car for the cross country trip and settled in the Seattle area. Dr. Rockwood joined our practice shortly after becoming a Washingtonian and has been here ever since. Dr. Rockwood enjoys working with each individual patient to determine his or her unique dental needs. He is caring, compassionate, and strives to deliver the highest quality of care in a comfortable setting. Dr. Kari Mann is originally from Western North Carolina. She completed her undergraduate studies at UNC Chapel Hill, and moved to Southern California to complete her dental degree at Loma Linda University. 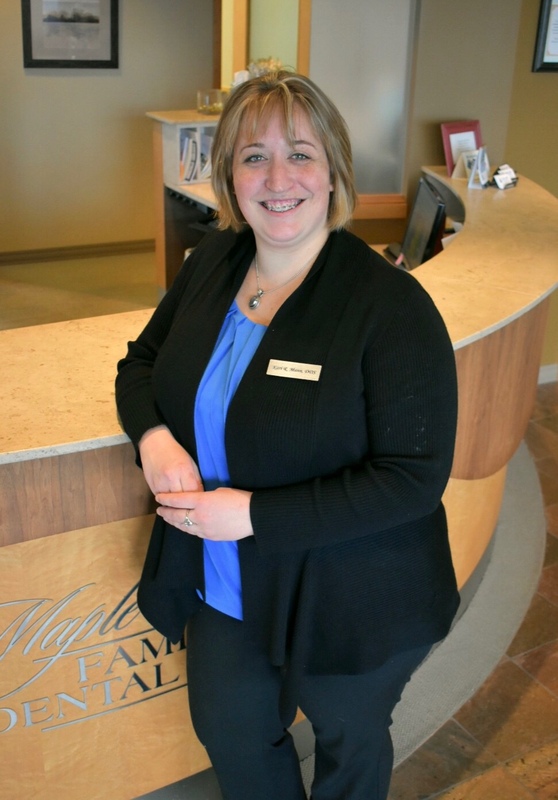 Dr. Mann chose dentistry because it provides an opportunity to connect with people in her community while providing them quality, compassionate care that will help them maintain their health and smile. Dr. Mann chose to settle in the Pacific Northwest because of family ties and her love of the area's natural beauty. She looks forward to exploring all that the area has to offer and becoming an integral part of this community. Dr. Mann is an avid animal lover and in her spare time enjoys spending time with her dogs. She also enjoys equestrian sports, boating and scuba diving. While in school Dr. Mann was very active in mentoring, volunteering and working with the student government. She received the Clinical Excellence Award from Loma Linda University for compassionate and quality patient care. Dr. Mann enjoys volunteering her time in local community clinics and abroad. In December 2016, Kari completed an advanced education course in implants through the Loma Linda University Implant Maxicourse. Kari strives for excellence in patient care and communication so that her patients feel comfortable with each step of the dental process. She truly cares for her patients comfort and quality of care, which makes her a great addition to our team!